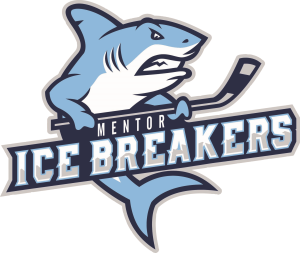 Have you met the Ice Breakers, Mentor’s new professional hockey team? They’ll be visiting Mentor Public Library not once — but twice — this fall, so now’s a great opportunity to break the ice with… well, you know. First, four of the players will host a special story time at 11:30 a.m. on Monday, Nov. 26, at our Main Branch. They will read stories and answer questions from the kids about being a hockey player. Open to all ages and no registration necessary. Then, the Ice Breakers will visit our Lake Branch at 6:30 p.m. on Monday, Dec. 10. The players will share stories and talk hockey. Registration for that program opens Nov. 26. Both programs are free to attend. This entry was posted in Uncategorized and tagged city of mentor, hockey, Ice Breakers, Mentor Public Library. Bookmark the permalink.